Decorating the nursery with enchanted fairies? 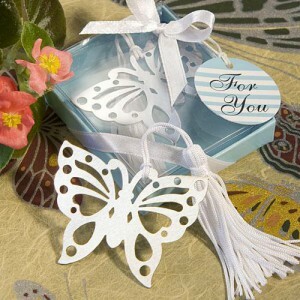 Butterfly baby favors make the perfect complement to your baby shower theme. Get some of the best ideas here. Whether you are decorating the nursery with enchanted fairies or just enjoy the fairy theme, butterfly baby favors for your enchanted fairy baby shower are the perfect complement. You can find them in all types of varieties, colors, and price ranges. This will allow you to provide a gift to your guests that are within your budget. 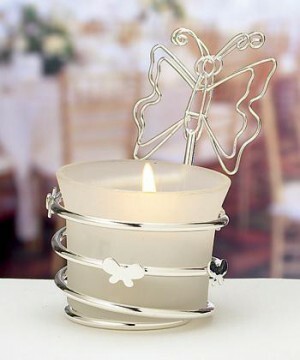 Butterfly baby bootie candles are one of the most adorable butterfly baby favors for your enchanted fairy baby shower available. They are offered in either pink or blue so you don’t have to worry about gender. The booties are placed in a clear package for the perfect display and are topped with a satin ribbon and thank you tag to make the look complete. Want an affordable and edible gift? Try baking mini butterfly cookies, which may be just the butterfly baby favors you are looking for. These little cookies can be brightly colored and made fresh by you, just for your special guests. You can wrap them in colored saran wrap or organza bags. The choice is up to you. You may even want to top them off with a pretty pink or blue ribbon. Your guests will enjoy the personal touch that comes with them, and they’ll match any magical theme you have going. Want to give a gift that your guests will enjoy in the years to come? 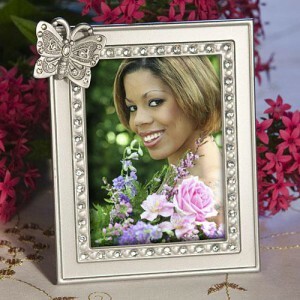 Check out butterfly photo frames. Many of them are beautifully designed with silver plates and shimmering rhinestones, and they offer more than just a temporary gift. Your guests can use them for photos of your baby as your baby grows. While they are definitely more expensive than some other options out there, you can’t go wrong with these classic favors. 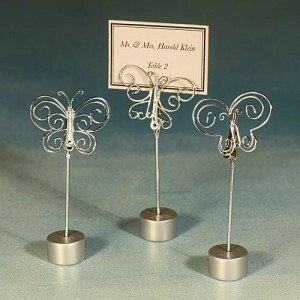 They are practical and versatile, and also one of the most exquisite butterfly baby favors for your enchanted fairy baby shower.